Well, good luck....here in TN it's supposed to be single digit temp Sunday night so I hope that means clear skies. I had planned to get up on the roof with a couple of those big golf umbrellas and, well, do a little flying during this auspicious lunar event, but I'm having some jitters. What exactly Mueller's office says is inaccurate is not detailed yet. Strange business; gotta be the blood wolf super moon working at good speed. It's a bit of a cool snap here, too - probably upper 50's by midnight. But the club is having a poolside event with food, drinks, music, lounge chairs, patio flame warmers, big screen for the game. No festivities planned for Trump's "big announcement" though. 2341 - 0044 ET, peak at 0016. BuzzFeed is sticking by its story. Does this mean that Mueller thinks that everything else that's been leaked/reported about the investigation is accurate? Not to be too picky over something I know nothing about, but Mueller's statement was carefully worded and didn't say that BuzzFeed's story was untrue. It said "inaccurate." Big difference. Agreed, it was suspicious timing to me that Trump wanted to go on TV again for a distraction shortly after the news came out. I think it hit on something. Lawyers are always careful with their wording... because that's a large part of their job (it seems to me). Well, given the seriousness of a credible allegation that Trump actually told Cohen to lie, Mueller wouldn't want to have any potential kinks in what he does have that might be caused by "inaccurate", incomplete, or misleading information released publicly. Doesn't mean Cohen didn't say it, and it doesn't mean Mueller doesn't have collaborating evidence of it. Just means some specific parts of the the BuzzFeed story isn't accurate. Trump really does believe the Dems (and the public) are idiots. His "offer" contains only part of what he himself took away. Making him totally drop any opposition to DACA and dropping the "break up the families and put them in cages" should be a starting point, not a goal. And if the Dems let him get by with it, then maybe they are idiots. If Trump get re elected, I may end up being an expatriate. If Trump got re-elected, there wouldn't be a recognizable United States to de-patriate from. Trump really does believe the Dems (and the public) are idiots. His "offer" contains only part of what he himself took away. Making him totally drop any opposition to DACA and dropping the "break up the families and put them in cages" should be a starting point, not a goal. Trump has once again come to try and get billions for his wall and his deportation force. It was no deal. It was the same racist thing all over again. He has requested $5.7 billion for the wall, more funds to hire nearly 3,000 Deportation Force agents and more staff to expedite deportations that will send even more immigrants to their deaths. This in exchange for a distraction that is not permanent and that will continue to endanger millions in our community. For months, Trump has acted in bad faith and has tried to use our lives to bargain and get his wall and expand his Deportation Force. We can’t give in now. We must unitedly reject this and any deal that will hurt our communities. 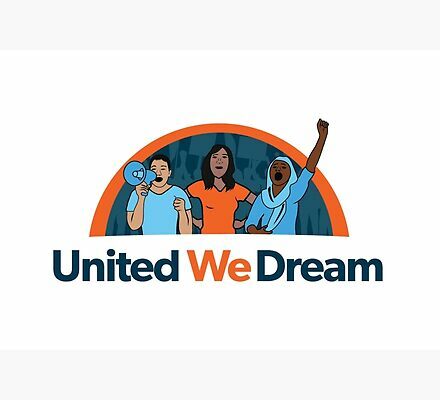 Our demand stands: Congress must pass clean, permanent protections for undocumented immigrants, defund the Deportation Force and not play into Donald Trump’s sick and dangerous game of offering bad policies in exchange of his racist laundry list of demands! Let’s not forget, Trump is the one who put us in danger by killing TPS and DACA protections. Then he and Republicans blocked the Dream Act that would have protected us with a pathway to citizenship. He has killed every compromise to protect immigrant youth, demanding more detention camps and billions for his deportation agents. This is part of his sick anti-immigrant strategy. His proposal is unacceptable. Trump and Republicans must re-open the government now without giving more dollars to the wall and Deportation Force! And if the Dems let him get by with it, then maybe they are idiots. I'll be damned, POSPOTUS folded on the SOTU. He’s been grabbed by the ***** and is getting beat up by a girl. Yeah, and that "girl" has bigger balls than anybody he's ever dealt with. Pelosi castrated wannabe DICtator Trump. Now he's just Tator Trump.